Optoid is the first eye care practice in the country that 3D designs and uses 3D printing to create custom prescription eyewear in our own Williamsburg, Brooklyn office. We proudly include 'Made in Brooklyn' on our 3D printed frames and feature our line of Brooklyn-style eyewear available for order online and in office as well. Optoid also provides medical eye exams, contact lens fittings, and eye emergency services on weekends. Our office contains numerous other unique features in addition to the 3D printer including a 6-foot paludarium, a large chalkboard wall, and a range of medical testing equipment. Come see how the art of optometry can harmoniously blend health, design, and technology for a new patient experience at Optoid. Dr. James Kim is the owner and founder of Optoid Print3d Eyewear & Primary Eyecare; the first eye doctor's office that custom designs and 3D print its eyewear. Dr. Kim graduated from Duke University and SUNY College of Optometry and is a NY State licensed optometrist and a Fellow of the American Academy of Optometry, a distinction less than 10% of practicing optometrists hold. Dr. Kim provides medical eye exams, contact lens fittings, ocular disease diagnosis and treatment, pediatric exams, and weekend emergency eye care services. His background includes experience working several years at a glaucoma specialty practice and at various retail opticals throughout New York City seeing a wide array of patients and practice modalities. Dr. Kim created Optoid as a way to appeal to the diverse population of Brooklyn by combining his unique spectrum of interests from art to ecology to music to technology to health. Book an appointment with Dr. Kim at Optoid to experience the art of optometry. To Shop Online for Optoid Print3D Eyewear! 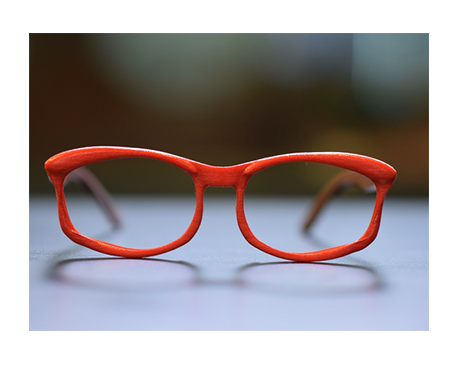 Optoid Print3d Eyewear & Primary Eyecare is associated with many major medical and vision insurance plans. We understand that vision insurance can be confusing. Please call our office so we may verify for your benefits.